The link is to an article published in History Magazine in 1999 on the English Longbow. If you don’t want to read it here’s some interesting facts. 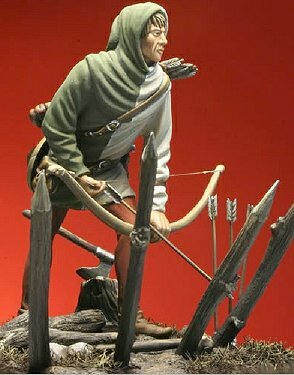 English archers using the longbow were largely responsible for defeating numerically superior French armies on three separate occasions during the 100 Years War (1337-1453). The longbow was the great equalizer in defeating the nobility of France. Longbows had a draw pull of between 75 and 100 lbs. That’s a lot. 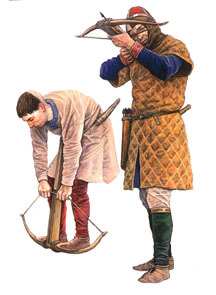 The longbow could wound at 250 yards, kill at 100 yards and penetrate medieval armor at 60 yards. A skilled archer could loose 12 arrows in a minute and some sources say 24 were possible. By way of comparison consider the fact that the British Army was armed with the Brown Bess Musket for much of the 18th Century and a good part of the 19th (1722-1838). Their American opponents in the American Revolution were armed largely with the same weapon. 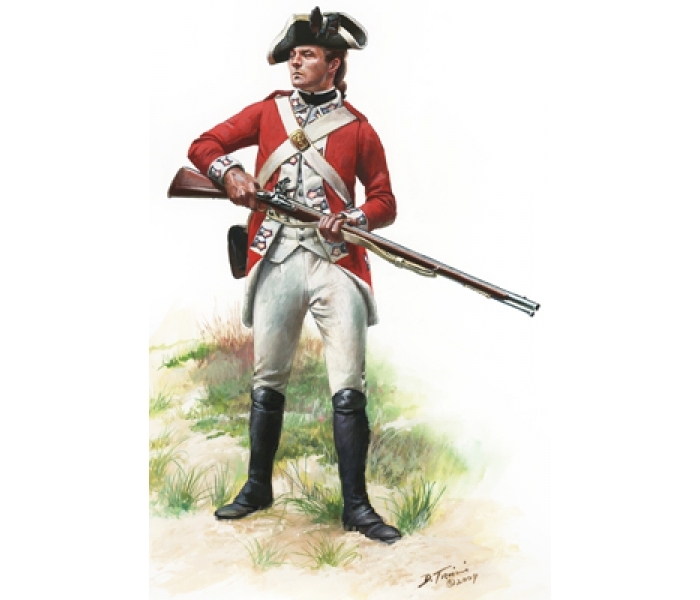 The Brown Bess had an effective range of between 50-100 yards and a trained soldier could get off between 3-4 rounds. This means a trained archer could get off 3-4 arrows to every shot a man with a musket could. Ben Franklin in 1776 is reported to have recommended a return to the longbow due to a gun powder shortage in the colonies. He was no doubt influenced by the devastating results of the weapon during the HYW. By 1588 (the year of the Spanish Armada) the longbow had fallen out of favor with the British and no other major European power ever took it seriously least of all the French. The French king in fact feared putting such a powerful weapon in the hands of peasants. Perhaps the biggest reason the longbow fell out of the favor is because of the amount of training required for an archer. One of the reasons the continental powers did not adopt the longbow was because of the training. It was much easier to train a man to use a crossbow than a longbow. As a point aside European nobility did not like the idea of a crossbow either. Putting powerful weapons in the hands of peasants was a threat to their power. Norman crossbowmen, Battle of Hastings, 1066. The crossbow was another weapon that threatened the nobility. Training was also the issue with early firearms. It was easier to train a man with an early musket that the rigorous training necessary to use the longbow. 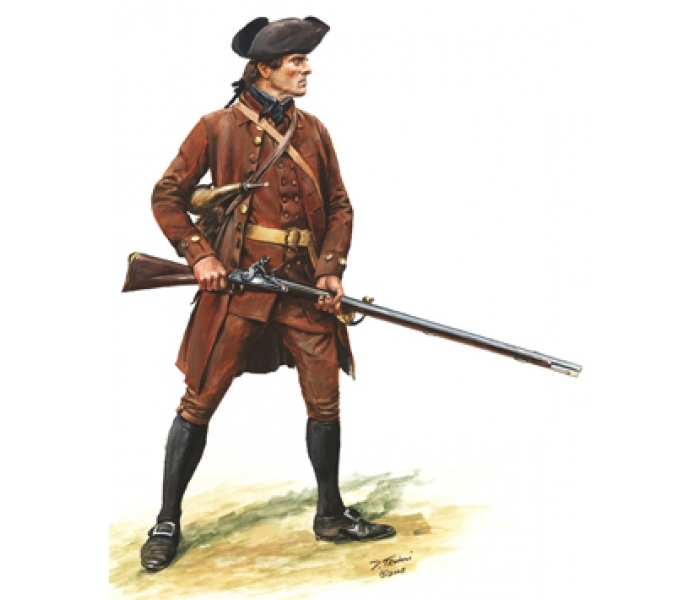 By 1775 the American militia (who considered themselves Englishmen) faced British professional soldiers at Lexington and Concord with the same Brown Bess musket (or similar). While armed with the same weapon the militia did not have the discipline of the British professional and Lexington was a disaster for the Americans which is why they took to sniping at the British who were there in the first place to seize the militia’s muskets, powder and ball. Here’s my point between longbow and Brown Bess. The European nobility did not like the idea of arming the peasantry with effective weapons because an armed citizenry was a threat to their power and despotism. 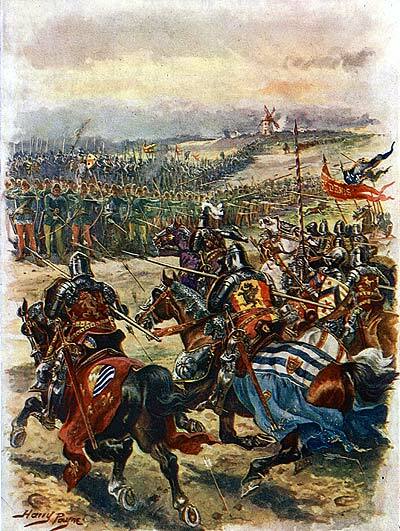 As armies evolved they became more professional (and standing) than the levies raised during medieval times. Most European powers had a militia system armed in a similar manner to the professionals that supplemented their standing armies. The American militia at Lexington and Concord were resisting the British expressly because the British were coming to seize their arm. The British considered them rebels to the crown, hence the order to seize their arms. The militia resisted. The Founding Fathers knew their history and for the longest time (up until the end of the Second World War) America has had a fear of standing armies. Why? Because a standing army can easily be turned into an unjust instrument of the state (the king). The Second Amendment to the Constitution and a well-regulated militia is not the modern concept of the National Guard, a guard that has been nationalized many times by the Feds. The Second Amendment to the Constitution is intended to be a check on the government so that ordinary people can defend themselves against a government that gets to big for its britches. Obviously, an armed citizen (conceal and carry) is also a threat to any wannabe criminal but that’s just a bonus to the Amendment. The powers that be fear law-abiding citizens with access to AR15’s or similar just as surely the French king feared arming peasants with the great equalizer of a longbow. In their fear the progressives erect straw man arguments about saving lives and asking why would anyone need a 30 round magazine to hunt deer. The Second Amendment is not about hunting deer. It’s about a check and balance on a government that would disarm its law-abiding citizens. I really enjoyed this article. Nicely done sir.